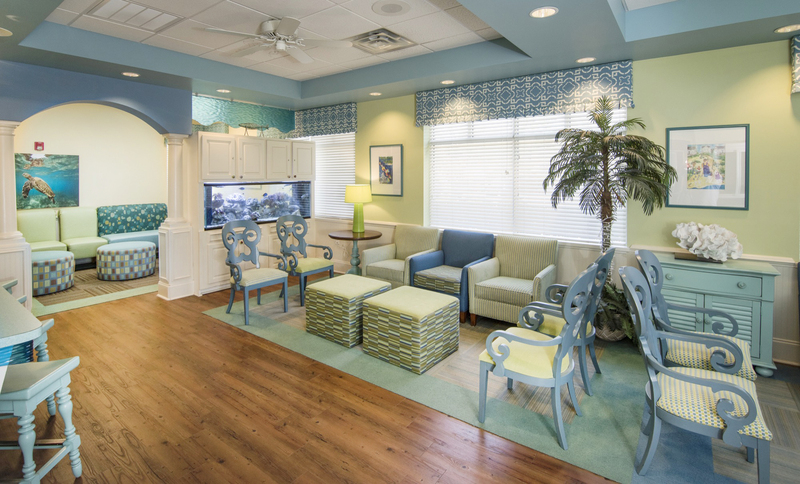 The client wished to create a positive experience for kids of all ages, as well as their parents. 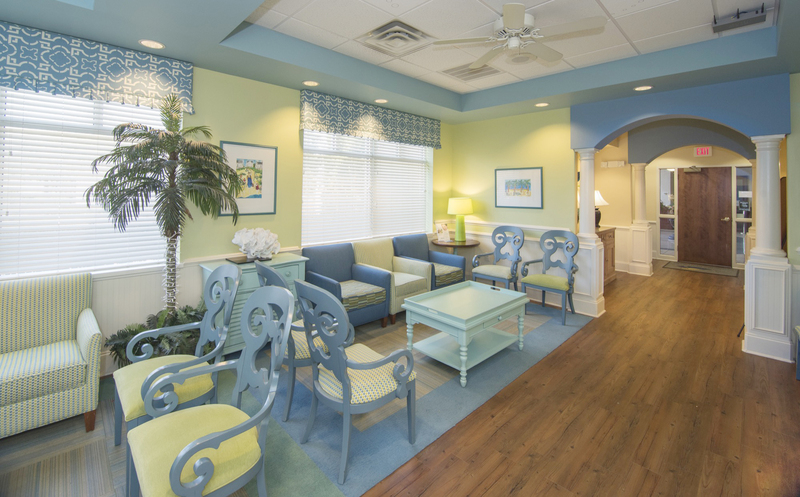 We wanted to create a more residential feel while also responding to the need for durable finishes and fabrics in all areas. 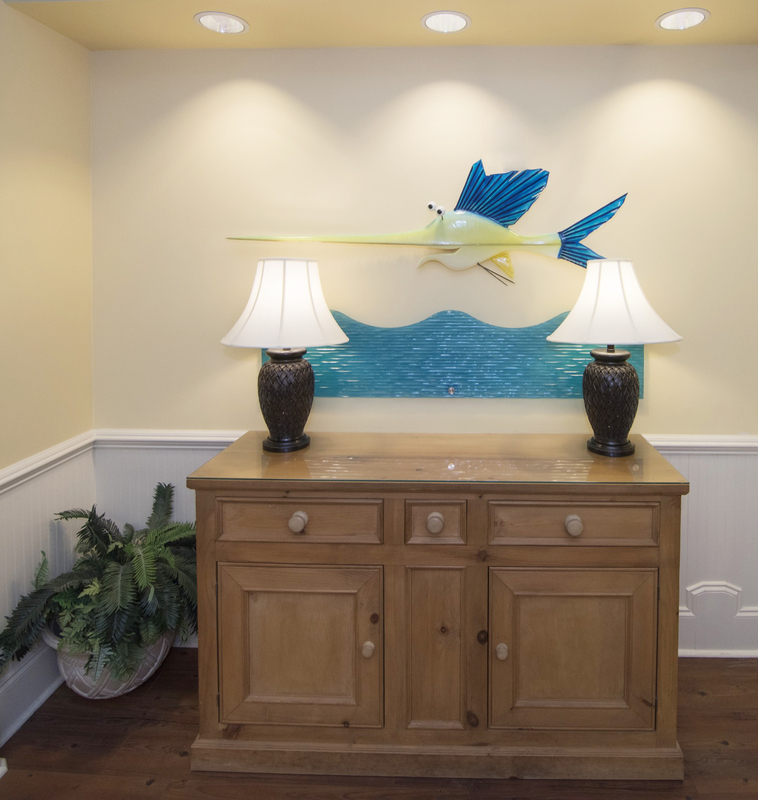 Fun, aquatic references were a favorite of an owner and became a theme for the practice location. The design concept was to bring the beauty and intense colors of the sea and fish inside to create a friendly and unique interior. 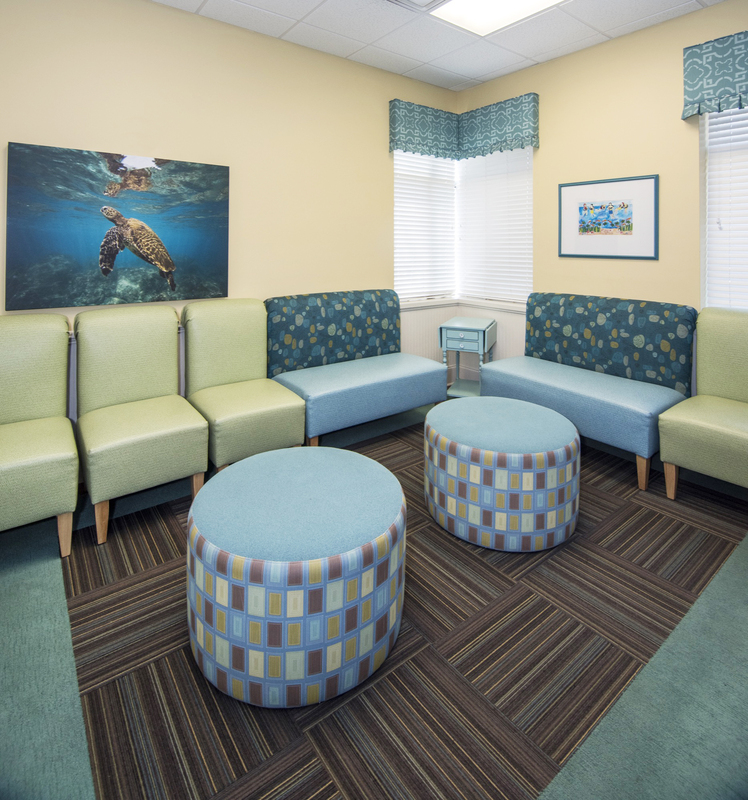 Sea turtles and fish are present in real life, life-size depictions, and three-dimensional representations set within comfortable seating groups, play areas, and computer stations. 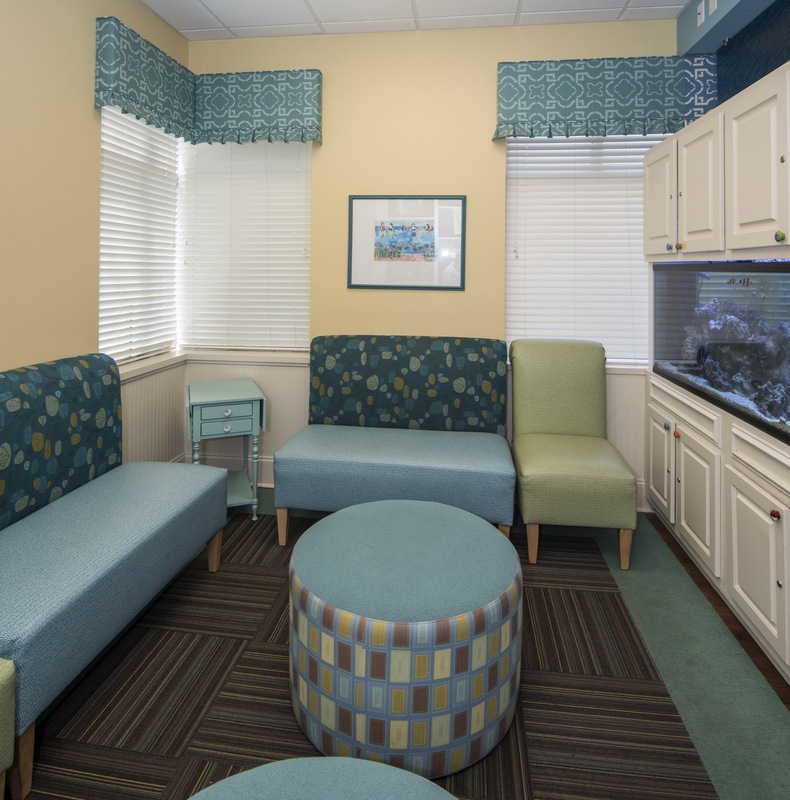 We selected new furnishings that were residential dining chairs upholstered with commercial grade fabrics, and commercial grade lounge chairs and ottomans. 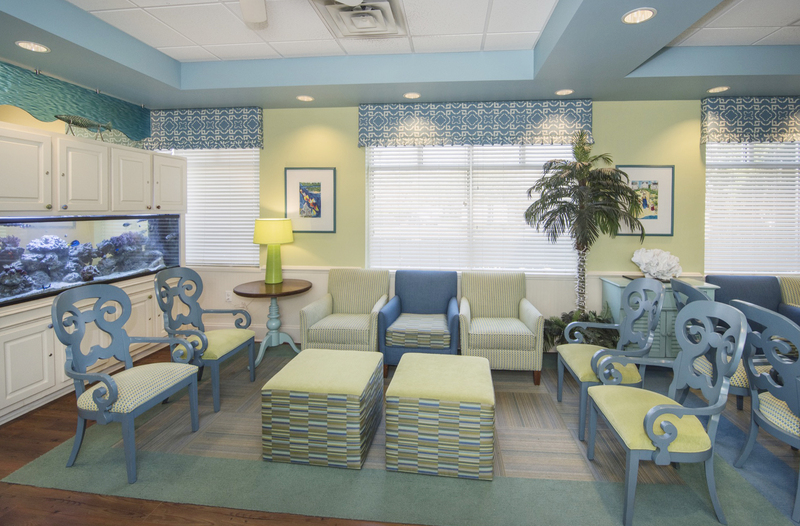 This mixture of seating types along with quirky painted occasional tables let everyone breathe a sign of relief and relaxation in the waiting area. Our favorite elements were the accent pendant lighting and the 3form wave panels aligned with crazy fish wall sculptures at the technology bar. 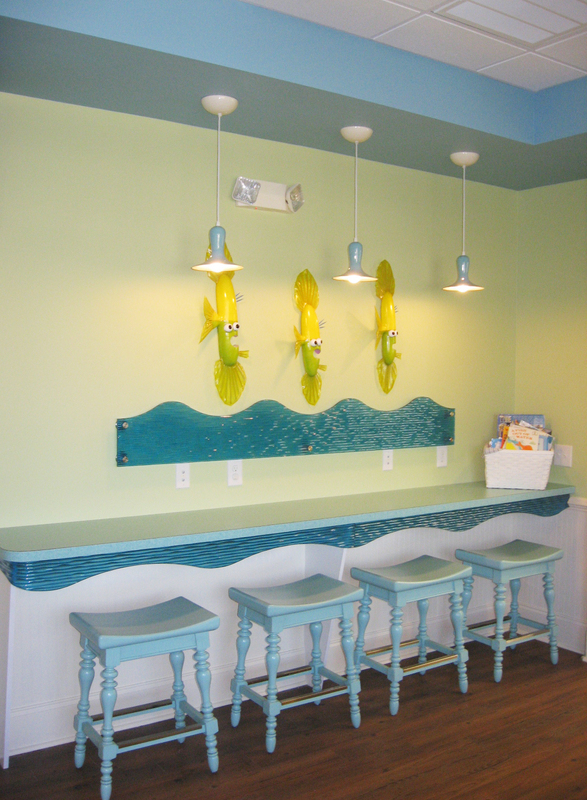 Our favorite elements were the accent pendant lighting and the 3form wave panels aligned with crazy fish wall sculptures at the technology bar.